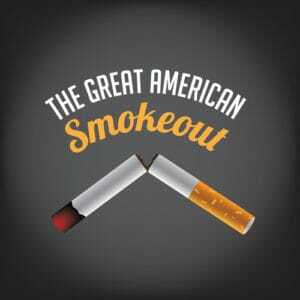 Everyone is most likely aware of the countless health problems that can result from a smoking habit. But quitting isn’t always easy. 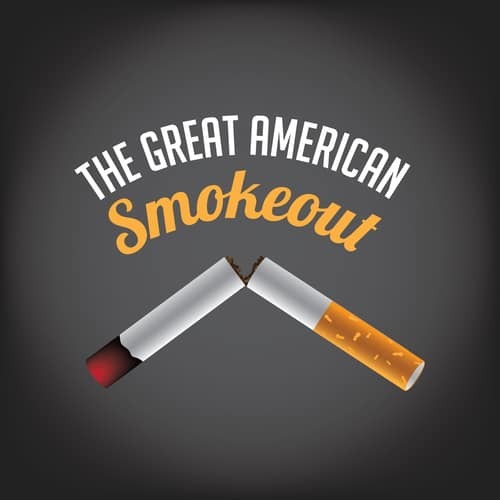 This month, as we help recognize the American Cancer Society’s Great American Smokeout, held every year on the third Thursday in November, the team at our Hagerstown dental office is here to help provide some of the most helpful tips to quit smoking for good. Getting your friends and family on board to help you quit can go a long way in making sure you succeed. Let people know you’re trying to quit and instruct them on how they can help. There are also tons of online sources you can refer to for an added boost of support. Write down when you have the strongest urge to light up. Putting your triggers down on paper will assist you in recognizing small ways you can change your lifestyle to either avoid them or find alternative coping mechanisms. Gather up your ashtrays and lighters and toss them in the garbage. Removing things associated with smoking can help keep your mind off of the habit. Take it one step farther and freshen up your car or your house to remove the smokey smell. Some smokers who are trying to quit find that having snacks available to occupy both the mouth and hands can really make a difference. Keep sugar-free gum handy, nibble on some carrots, and drink lots of water. These healthier options will make your dentist in Hagerstown happy, too. Going through nicotine withdrawal is one of the main reasons smokers find it so difficult to quit. Do some research on the various nicotine replacement therapy options available to you and give it a try. Knowing your motivations for quitting can also go a long way in keeping you on track. Whether it’s to save money, for health concerns, or for your family, remind yourself of the reasons you’re trying to quit as often as needed. 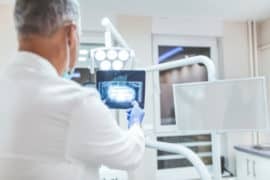 If you or someone you know needs a little more motivation to stop smoking, or are concerned about oral health, we always welcome you to call our dental office in Hagerstown to schedule a visit with us. We’re happy to help our neighbors stay as healthy as possible.